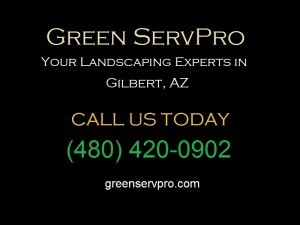 Want an Environmentally Friendly Lawn in Phoenix AZ? When it comes to landscape design or lawn care and maintenance, things might not always be as simple as they seem, even if most lawn owners have the basic ideas and skills in order to identify the potential problems and take the necessary measures to prevent terrible consequences. And one of the wisest things to do is to contract a company that can assess a situation and manage all the necessary actions in a professional way. So let’s see how winterkill may affect your outdoor landscape this season and what a specialized company can do for you. 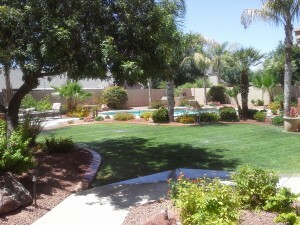 Lawn Care in Chandler, Arizona. What to Do and What to Avoid? Having a house with a lush lawn is probably a dream came true for many land owners, but lawns don’t actually come with instructions manuals like mowers do. You don’t learn about lawn care in the schools in Chandler, Arizona and many owners just wing it or improvise along the way, gathering scarce information from various and sometimes unreliable sources. Mistakes are made all the time, but if you really care about your lawn, you should know about mowing it to the right height, not too short and definitely not too rarely. Lawn care in Avondale, Arizona, is a pleasure and a joy for most lawn owners, and they have all the reasons to feel so, especially if they are taking care responsibly of their lawns, yards and gardens. But since watering is one of the critical aspects of lawn care, mistakes can be made and well, avoided too, as watering still gives people a lot of trouble when it comes to lawn maintenance. One common case is, of course, under – watering, a detrimental consequence to the life of your turf. The other common case, harder to solve however, is over – watering, thus turning your lawn into a swamp. You can wait for it to dry, granted, by this doesn’t mean it will survive the process. So drainage actions are mandatory and if you want to be ready for some lawn flooding in Avondale, here is what you can do. It doesn’t matter if you have a small patch of turf in front of your house or you try to keep maintenance on a football field, there are some basic lawn care principles in Gilbert, Arizona, that apply to all grass fields: watering, mowing, fertilizing and aeration. Now if the first three can be called habitual tasks in the case of every lawn owner or school and parks, aeration is a more complex procedure that usually leaves behind dirt traces and unsatisfied customers (especially athletes that don’t particularly like rough grounds and romantic couples that bump into dirt lumps when taking a sweet walk), but on the long run, aeration is perhaps one of the best measures to make sure the fields are healthy and the grass bright green and luscious all year long. If you have mastered the mowing, the trimming and the watering of your lawn in Gilbert, Arizona, let’s see a few things on aeration too. Do You Know the Basics of Lawn Care in Phoenix, Arizona? Lawn care in Phoenix, Arizona, is a tradition and a pride for all land owners who enjoy sitting on their porches admiring their lush yards, lawns and gardens. And it is indeed an exquisite feeling to walk barefoot in the bright green grass, playing with the children and the pets, having a late summer night outdoor picnic or party, enjoying a good mowing session or boasting about your luscious lawn to your neighbor. But the reasons to be proud of fade away if the lawn looks dry and dirty, if the turf is yellow, under nourished and ugly, isn’t it? This sort of look asks for immediate measures and if you want to plant new seeds and improve the looks and health of your lawn, here are some basic rules to lawn care in Phoenix you should follow. 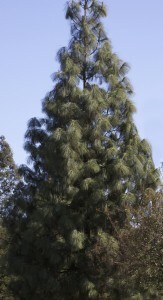 Part one of a series on tree trimming in Phoenix explores some basics of tree care. How Often Should I Trim my Trees? “Winter Pruning-Pruning during dormancy is the most common practice. It results in a vigorous burst of new growth in the spring and should be used if that is the desired effect. It is usually best to wait until the coldest part of winter has passed. Some species, such as maple, walnuts and birches, may “bleed”—when the sap begins to flow. This is not harmful and will cease when the tree leafs out. Tree trimming in Phoenix involves a bit of care. You never want to cut more than 25% of a tree’s growth because it can potentially kill the tree. When you are trimming the trees, be careful of cutting the bark. If you cut the bark in a complete circle around the trunk, it will cause the tree to die as well. That’s why if you aren’t sure what you’re doing, you may want to call a tree care service to help you. This concludes part one of our series on tree care. Be sure to read part two as well. Part three of our series on lawn maintenance explores some general tips for caring for your lawn. There is nothing like the feeling of grass scrunched between your toes. The smell, the green, all of it makes you think of the joys of summer. So you want to make sure that you take care of your lawn, so first and foremost where lawn maintenance tips are concerned is to be careful what you use on your lawn, as well as be careful when you apply it. People that have lawns can be obsessive where they are concerned. The first stirring of a weed or a bug, and they heavily treat the lawn with pesticides and weed killer. However, bear in mind that spraying large amounts of pesticide and/or herbicide around where you live is dangerous because you are exposing yourself and your family to carcinogens present in the chemicals. Spot spraying while more time consuming is much more healthy where lawn maintenance is concerned. You also want to make sure that what you’re using is safe for your lawn as well as for yourself. Lawn care products run the gamut from very good to ripoffs. So do companies for that matter. So make sure you know what you’re putting on your lawn as well as who may be working on it. Some products for example can burn your lawn, particularly if it is hot outside. So remember, if you want to do the best things you can for your lawn, a bit of knowledge is always best. And if you want to save both time and money, you might wish to consider hiring a professional lawn care service. This concludes part three of our series. For more information on lawn maintenance tips, be sure to read part one and part two as well. Part two of our series on lawn maintenance explores how often you should water as well as how often you should mow. One of the best lawn maintenance tips we can offer regarding how often you should mow your lawn is to mow your lawn to the height you want, while at the same time, being aware of the requirements of your neighborhood. As a rule three inches high is a good, healthy height for grass. University studies seem to agree with this assessment. 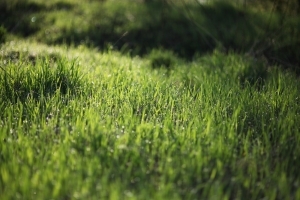 However, if you live in a HOA, check what their requirements are for the height of your grass. You also want to make sure that you don’t cut your grass too short, or you’ll injure the plants. How often you should mow your lawn also depends on whether it’s summer or not. Summer is the season your grass grows, so you want to give it a bit of time to grow. Once every ten days is a good time frame for mowing your grass. But to keep your lawn healthy, it isn’t just about mowing, it’s about watering as well. So remember, everything has a time frame, even mowing and watering. Our next article about lawn maintenance tips explores some general lawn care. This concludes part one of our series. 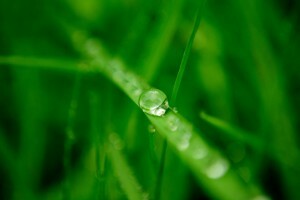 For more information on lawn maintenance tips, be sure to read part one and part three as well. Part one of a series on lawn maintenance explores some tips for summer. In a lot of parts of the US, it is spring. Arizona, however, operates under different rules. One of the complaints that people have from other parts of the US is that Arizona lacks seasons, which isn’t true. Arizona has seasons, however, they’re super-compressed seasons. Arizona’s spring is pretty much from February to March. Then our summer starts. So it is a good idea to know some lawn maintenance tips for summer. First off, it is time to weed and feed. Your grass isn’t the only thing growing in your lawn, weeds are growing as well. Some species of weeds, particularly the woody variety are extremely hard to get rid of. One of the best lawn maintenance tips we can offer you where weeds are concerned is to not pull them. You want to spot spray them to kill them off. The only time you can really pull weeds successfully is if your ground is thoroughly soaked. Otherwise, when you pull weeds, you’re more than likely just pulling the top part off. The reasons weeds thrive so well is that they can survive even if all of the above ground structures are gone. They just need a small amount of roots and then they grow. In addition to weeding, you want to start to fertilize your lawn before it gets too hot. If you want to avoid burning your lawn, you want to apply your fertilizer now while it is still temperate. Otherwise, you are basically causing a chemical burn that will essentially kill your lawn off. So remember, this is the time of year you want to fertilize your lawn and get rid of the weeds. Our next article on lawn maintenance will cover when to mow and water your lawn. This concludes part one of our series. For more information on lawn maintenance tips, be sure to read part two and part three as well. Part two of a series on lawn care basics explores the importance of the right type of grass seed and the amount of sun it’s going to need. What Grass Grows Best in Phoenix? What grass grows best in Phoenix? There are five types of grass that grow well here. First off there’s Celebration Bermuda grass. Celebration Bermuda grass is low-maintenance can be cut either with a weed whacker or a lawn mower. Bermuda requires little fertilizer, and thrives in Arizona’s hot climate. Palmetto, Midrion, Tifway 419 , and Tifgreen 328 are the other four types that do well. As to which one you should plant, it depends on what you’re looking for where your lawn is concerned. If you need a sun and shade mix, you use Bermuda or Palmetto. For heavy traffic, you use Midiron or Bermuda. If you want a golf course type lawn, you use Tifway 419 or Tifgreen 328. As for mixing and matching grass seed types, you must be more than a bit cautious, particularly where lawn care is concerned. For one thing, all of these grass types differ on the amount of sunlight as well as the amount of water that they are going to need. However, there are other reasons you want to use caution. Planting the right type of grass for your lawn depends not just on what you need your lawn to look like, but also the amount of sunlight as well as the amount of water the seed will need. You also want your turf to look natural. Bermuda grass and Palmetto look unnatural together for example, so you’d have to mow the grass down to a short level to avoid it. So remember, that it isn’t just fertilizer and water, it’s knowing what to plant and where. Knowing lawn care basics will help you keep up your lawn. This concludes part two of our series. For more information on lawn care, be sure to read part one as well. Tags: grass seed, lawn care, lawn care basics, What grass grows best in Phoenix? Lawn care is all about the right balance of elements. All you have to do is balance the amount of sunlight, the amount of water, and the type and amount of fertilizer you should use. In this two part series, we will explore these elements. Let’s start with fertilizer. “Fertilizer recommendations are based on the amount of actual nitrogen a lawn needs in a year. The amount of grass fertilizer you decide to apply should take into account several factors, including the type of grass you have planted and the size of your lawn. 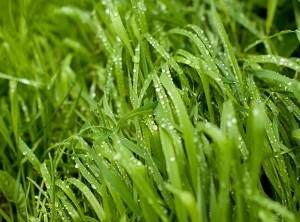 Different types of grasses need different amounts of nitrogen to keep them vigorous and healthy. The following table lists the yearly nitrogen requirements for 1,000 square feet of the most common lawn grasses. That recommended nitrogen range shown in the table has to do with the length of the growing season. If you live in a cold-winter climate where the seasons are short, you use the lower end of the range. If, on the other hand, you live in an area where the summers are long and the winters are mild, you use the upper range. Basically, the longer the growing season, the more nitrogen the grass needs. How Much Should I Water My Lawn and When? How much you should water your lawn depends on factors like your climate, the type of grass that you have, and the time of year. In winter months in Arizona, as a rule, if you water your grass once a week, you’re good. In the summer, you want to water every two or three days. You always want to water your lawn in the evening in Arizona, or very early morning as it will keep the water from evaporating. 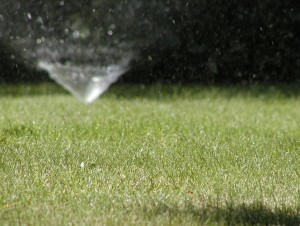 As to how to water your lawn, using a sprinkler as a opposed to a hose is best as it thoroughly soaks your grass. So again, remember that you want to balance the amount of water you get and the amount of fertilizer. Then you’re on the way to knowing the basics of lawn care. This concludes part one of our series. For more information on lawn care, be sure to read part two as well. Part two of a series on sprinkler repair focuses on some more reasons why you need to get it done. In our last article we covered some simple financial reasons why you should conserve water by fixing your sprinkler. Well in addition to saving a lot of money on your water bill, you’re also going to avoid trouble with a whole lot of people. Like who? Well for one, if you live in the Phoenix area, unless you’re living in an older neighborhood, odds are you might have a homeowner’s association to deal with. If you live in a Master planned community, you want to make sure that you stay in good with your homeowner’s association. Why? Well, for one, when you bought the property, you most likely signed away some rights to them to enforce the way that your property looks. When you have a broken sprinkler, it can cause water damage. Maybe not a lot, but just enough to get into trouble with your neighbors, your HOA, and the city as well. Why Should I Fix a Broken Sprinkler? Well if saving money on your water bill isn’t a good enough reason, how about avoiding fines and potential lawsuits? Your HOA can fine you for a bad sprinkler, as can the city. If you flood your neighbor’s property and cause damage you can be liable for those damages, and it is very likely that the court would side with the plaintiff as the cost of fixing your sprinkler is minimal compared to the damage that it can cause. So, adding to our previous article, you can keep good will in your neighborhood, avoid trouble, and save money on your water bill. How? All you have to do is to call a sprinkler repair service. This concludes part two of our series. For more information on sprinkler repair, be sure to read part one as well. Part one of a series on sprinkler repair explores why you should get your sprinkler repaired to conserve water. There are several reasons why you should try to conserve water as much as possible. First off there is the fact that no matter how much we develop this area, we are still living in a desert. The population has increased, and the water reserves have not. And we are already starting to feel the pinch. There are several ways to conserve water, and one of them is to get sprinkler repair done as soon as you know you have a problem. Why? Well, if you have a sprinkler system, the water is under pressure. If one of your sprinkler heads breaks, you can easily spill 5-10 gallons of water before it shuts off. So water that could have gone a lot farther has been used up because of something as simple as a busted sprinkler. However, there is another reason why you want to conserve water. Getting sprinkler repair done is a bargain when you compare it to how much your water bill can skyrocket when you have a sprinkler that’s not working right. So yes, if you need another reason to get it done, there is the fact that you’ll save money. So, let’s recap shall we? You can save money on your water bill. You can make a difference and help to save the planet. And if you need more reasons, be sure to read our next article on sprinkler repair. This concludes part one of our series. For more information on sprinkler repair, be sure to read part two as well.